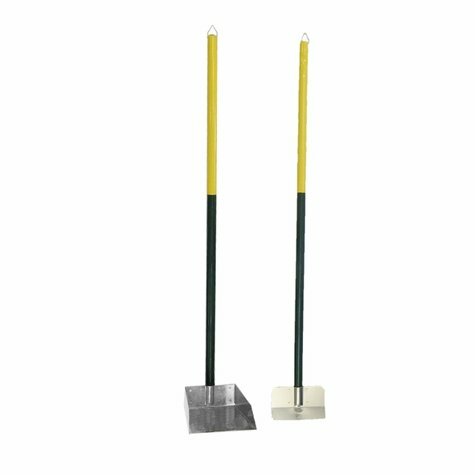 Four Paws Pooper Scooper - Small Spade Set. $23.99. Great for scooping up animal waste around the yard. This spade set is extremely durable and made with a stainless steel collection base that won't rust. Base measures: 6" x 6.5"
The tray of the scooper will arrive unattached. To attach the tray, simply insert the metal end of the handle into the tray, and secure it with the included Philips head screw. Four Paws Pooper Scooper - Large Spade Set also available.